New Westminster is well known for its rich character and history, just like Ledingham McAllister, with our 107 year history of building quality communities throughout British Columbia. As a result, we are incredibly proud to introduce Dominion, a community of Craftsman-style residences to British Columbia’s original capital city. The Grove at Victoria Hill – 2 Bed, 2 Bath, 951 SF West Facing unit overlooking the inner courtyard with Large Balcony. Very Quiet and surrounded by Greenspace this unit features a very spacious & open Living/Dining/Kitchen Area. Gourmet Kitchen with stainless steel appliances, lots of cabinets & island. Ideal Floorplan with two bedrooms located on opposite sides of the living room, Master Bedroom has walk-through closet leading into a Full Bathroom. Great Amenities at the Boiler House: Gym, Theatre, Study, Party Rm/Lounge, Outdoor Basketball Court. Central Locations, steps to Queens Park, 15min walk to Skytrain or 10 min Bus. Won’t last! Must See! The Grove, Victoria Hill – Gorgeous 2 bed, 2 bath West facing suite with large balcony overlooking the inner courtyard. Very quiet & private location, great floor plan, open concept living/dining/kitchen area. 2 bedrooms on opposite sides of the living room, 2nd bdrm has walk in closet, master bedroom has walk-through closet leading into a full bathroom. Gourmet kitchen with plenty of cabinet space, stainless steel appliances & granite counters (granite in bathrooms as well). Excellent amenities at the Boiler House; gym, theatre, study area, party room/lounge, basketball court. Great location, surrounded by parks & greenspace. 15 min walk to skytrain or 10 min bus. Suite shows well, priced to sell, must see. Projects on the go in New Westminster. The City of New Westminster has a great website that lists all the projects on-the-go in New Westminster and they just put out their report for July. Here are a couple big ones to look out for! 1. 6th Street- Pier Park: The Park opened last month to a great public turn out! Click here to check out the latest pictures and updates. 24 Storey Condo High-rise with spectacular views. Units starting at just $289,900 in this great central location. 3. 777 Columbia St – New Westminster Civic Centre: Although the building partner Uptown Developments just pulled out the City will still go ahead with the 4 storey Civic Centre and 8 storey Office tower. This will allow for more retail space, create new jobs, and add to the booming downtown area. 4. 920 Ewan Ave- Queensborough Community Centre Expansion: The Queensborough Community Centre is getting some great upgrades that will bring a lot of new opportunities to the community including daycare, fitness facilities, Queensborough Library, and much more. Check out a virtual computerized tour of the new facility! Queensborough Community Centre Expansion Info Guide. Market Update for Burnaby East Spring 2012. 60 Detached Houses have been sold, average sale price is $835,000 with an average days on market at 35. 39 Townhomes have been sold, average sale price is $444,400 with an average days on market at 30. 26 Condos have been sold, average sale price is $422,500 with an average days on market at 34. Edmonds Community Centre is almost up and running, this centre houses a new leisure pool with all the amenities, fitness area, gymnasiums, youth centre, seniors centre, coffee bar, and more. 2 exciting developments as well. ‘Vibe’ by SVM Homes is great urban modern living and ‘Reflections’ by Ledingham McAllister are sleek contemporary city condos. For more info on the the new Edmonds Community Centre, ‘Vibe’, or ‘Reflections’ click here. If you are thinking of making a move in Burnaby East please give us a call. Market Update Spring 2012 for The Quay New Westminster. New West Quay Market is open and the boardwalk is busy. Great new restaurant ‘Wild Rice’ which features modern chinese cuisine. Pier Park also offically opens June 16th with a grand opening party. New West Station Mall is coming to life! Safeway, Shoppers, Landmark Cinemas, CIBC, and A&W are all open for your shopping enjoyment. Here are the most recent MLS Stats from Jan. 2012 – May 2012. Click here for more information about the New West Station Mall ‘The Plaza’. THE POINT – Great Building & Great Location!! 2 Beds & 2 Full Baths corner suite with Large Balcony facing North East with Fraser River & Mountain Views!! This Suite features engineered hardwood flooring, stainless steel appliances, granite counters, electric fireplace, large master bedroom suite with walk-through closet, open floor plan, spacious kitchen with lots of cabinets, floor-to-ceiling windows bringing in plenty of natural light. Amenities include: indoor pool, hot tub, sauna, exercise room, lounge, media room…. Pets allowed with restrictions, rentals allowed. 1 parking stall included. Central location, steps to starbucks, shops, restaurants, Skytrain & NW quay Market. Trapp+Holbrook New Westminster Condos by The Salient Group > Starting from just $219,900 > Modern Living in Historic Neighbourhood > GET VIP ACCESS! For your chance to get VIP ACCESS to the best pricing & suites, register below > 20 storeys of panoramic view homes at New West Trapp + Holbrook start from just $219,900: PREVIEWS START MAY! 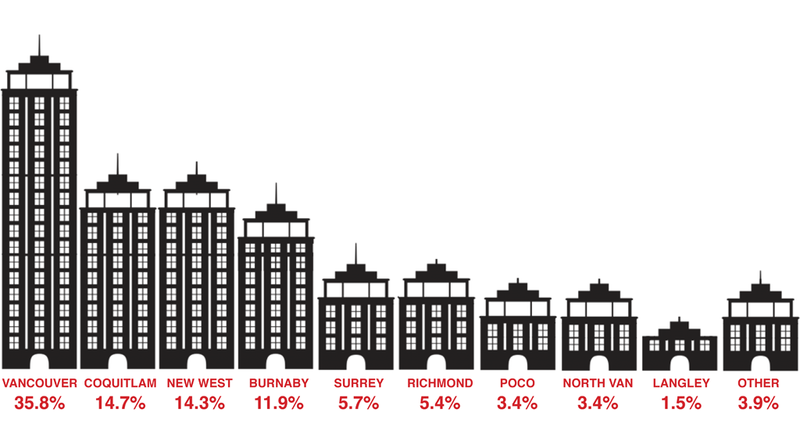 Full disclosure, The Salient Group is one of our top 3 favourite developers in the Lower Mainland. New Westminster Trapp+Holbrook Condos by the Salient Group will be launching VIP Sales in late Spring 2012! We LOVE this project for 3 main reasons. Firstly, the Salient Group is one of our favourite boutique builders and the new Trapp+Holbrook New Westminster condos will certainly fit the Salient classic meets modern take on projects. Secondly, the location of the New Westminster Trapp+Holbrook condos is undeniably impeccable, providing a ground level opportunity to own in a historic location that is coming into its own. Thirdly, the New Westminster Trapp+Holbrook condos by Salient Group will feature incredible panoramic views at an affordable price point. From first time condo buyers to investors, the boutique Salient Trapp+Holbrook Condos in New Westminster real estate market will provide something for every homebuyer and for every budget. Just released is the starting price point for the VIP Sales at the Trapp+Holbrook New Westminster condo project, and guess what? It’s in line with, or even lower, than what we first expected! The Trapp+Holbrook Condos in New Westminster real estate market will start from an incredible VIP price point of $219,900! Where else would you find a New West condo for sale that is brand new, features a great location and is prime for great capital gains over the coming years, starting from just the low $200’s and built/designed by one of the leading boutique builders in all of the Greater Vancouver regional district? 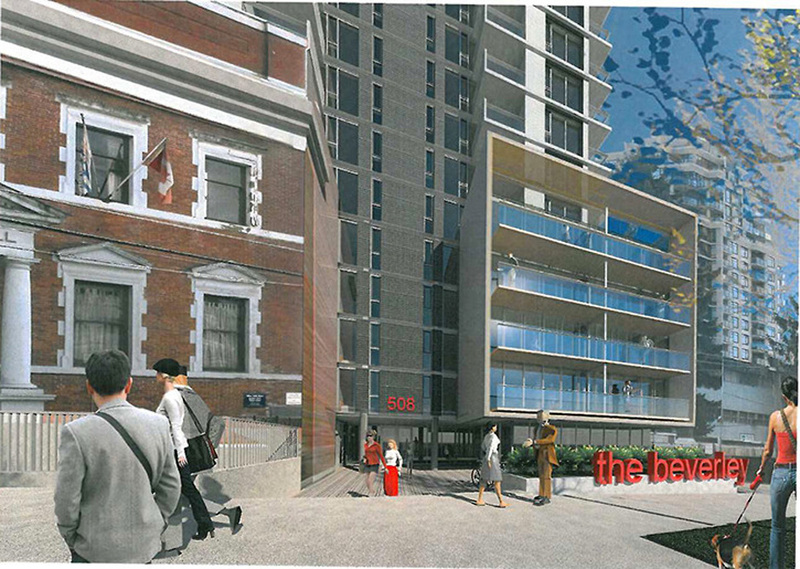 The answer is, nowhere by at the New West Trapp+Holbrook Salient Group condo project! Register today for more information. You can visit www.thesalientgroup.com or www.thliving.com for more details or you can speak with our Rennie representative for your chance to preview the homes and purchase them at the Realtor VIP Event. From the email desk: It’s time! New Westminster real estate’s heritage downtown district is evolving and Trapp + Holbrook condo tower is at the centre of it all. Brought to you by the same world class and leading developer who redefine Gastown Vancouver living, The Salient Group is now bringing their signature style and quality to Metro Vancouver’s hottest emerging neighbourhood in New Westminster real estate market – at unbeatable pricing and value. Previews for the New West Trapp + Holbrook condos by Salient Group will start in May 2012! As featured in their email blast, Rennie Marketing will be in charge of the promotion of this project. Rennie is a top marketing specialist with a great portfolio under their belt. With Rennie promoting the New West Trapp + Holbrook Condos by the Salient Group, we expect the project to sell out very quickly due to the offering, location and price point. Billed as ‘The New Classic’, the Trapp + Holbrook New Westminster condos for sale will feature 20 storeys of panoramic view residences starting from a presales pricing from $219,900. Plus you get receive the first time homebuyer tax credit on these new homes. It’s Time! Five stand out features of the new Trapp + Holbrook New Westminster condos for sale include its proximity to the SkyTrain that will zip you downtown in no time as well as it’s historic downtown New West location. Other standout features include it’s walking distance to The Quay in New Westminnster as well as new parks and the amazing Fraser River views! Modern Living in historic New Westminster is now here at Trapp + Holbrook condo tower. > Located on Columbia Street New Westminster, just one block from 6th Street, SkyTrain Station, bustling River Market and the new Westminster Pier Park! > Previews start in May 2012, presales possibly in late May or early June 2012. It’s Time… TH Living by The Salient Group is now here. Called Trapp + Holbrook or the New Westminster T&H Condos or TH Living depending on where you look, the boutique Salient Group New Westminster real estate development will be situated between 6th and 7th Street and between Columbia Street and Front Street, on Columbia. The New Westminster SkyTrain station is just steps away as is the River Market from the TH Living New West T&H Condos, which makes it an unbelievable well situated project. In addition, the Salient Group continues their long history of incredibly designed historic meets modern projects and the TH Living New Westminster T&H Condo building at Trapp + Holbrook is no different whatsoever. The first 2 floors features a classic traditional façade that will be carefully and painstakingly preserved and revitalized for the project. Everything up from there is a brand new high-rise tower. The New Westminster T&H Condos at TH Living will also feature interiors that are incredibly modern, well thought out and inspiring. Here, The Salient Group has integrated a wide range of high-end finishes that include quartzite countertops, KitchenAid stainless steel appliances and integrated Blomberg refrigerators to name a few features. More to come regarding the interior finishes and palettes as the grand opening previews is set for May 2012! We are so excited about this new Trapp+Holbrook New Westminster T&H Condo project by The Salient Group! 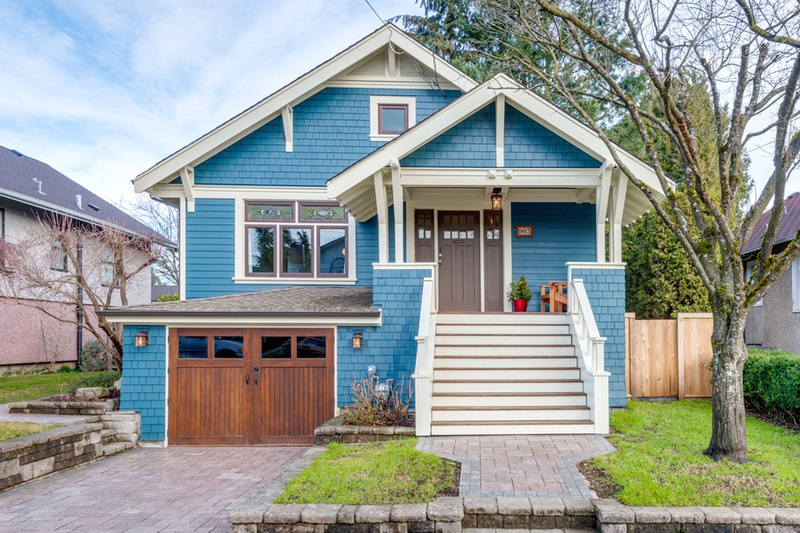 Don’t miss out on this great urban and ground level opportunity to own in historic New Westminster real estate market from the low $200k range! The Trapp Block and Holbrook Building in New West is located at 668 Columbia Street New Westminster and will see a new construction property with heritage components restored for that signature Salient Group design and brand. The 1 to 2 bed plus den homes for sale will feature layouts between the sizes of 483 to 1208 square feet and is scheduled for completion in late 2014. 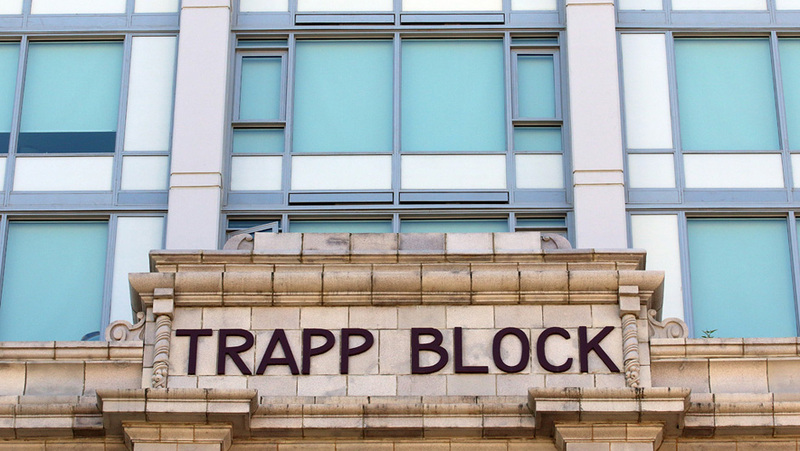 The Trapp Block and Holbrook Building is going to transform this entire downtown historic area into one of the most highly anticipated redevelopments this year. Plus, having the Salient Group as the developer/builder certainly helps as they have one of the top track records when it comes to boutique New Westminster condo project development as well as customer service. The Trapp & Holbrook condo previews start May 2012! Stay tuned for more information. Presentation Centre (668 Columbia Street, New Westminster). Sales commence May 26. Stylish interiors that developer The Salient Group has become well-known for, including streamlined kitchens with Blomberg integrated refrigerator, wide-plank laminate flooring, sleek roller shades, and more! 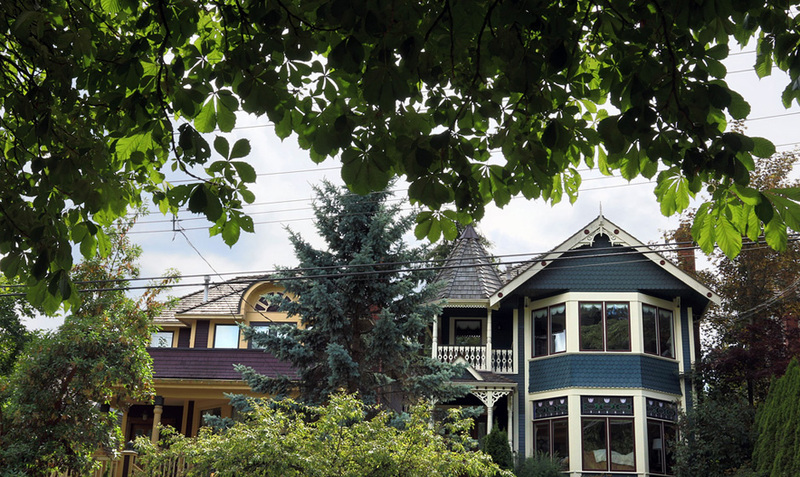 Historic New West has all the markings of a hot, emerging neighbourhood. Enjoy your one-block walk to New Westminster SkyTrain Station, the newly reborn River Market for sustainable produce, Metro Vancouver’s most progressive Asian fusion restaurant, Wild Rice, plus Columbia Street boutiques, cafés, and exciting new eateries right outside your door!